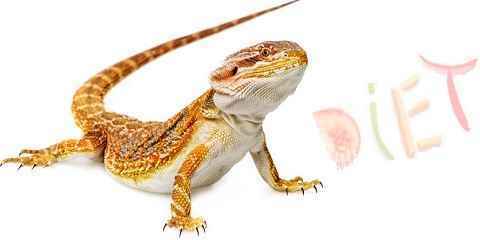 Diet for bearded dragon can be one of the most considered things for the pet owners need to decide before adopting one. It is because sometimes pets will look cute but the owners need to take care of the whole care which is going to be so complicated and also ineffective. Thus, they need to know the best food that the bearded dragons has to be fed. This way, the pet owners would be able to leave this pet half a day or even more than a day and the bearded dragon itself won’t be dead though. 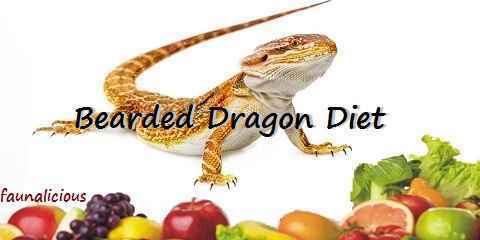 Don’t you think that the term balance diet is only available to be used by human, even a reptile lizard pet such as the bearded dragon (pogona) also needs a balance diet to extent their lifespan. As one of the reptile pet, people might generalize the diet of those reptile pets which range for the insects and also greens. However, bearded dragons need more than just insects and also greens. They need proper diet of both vegetable and also meat in a balance way. When they are still hatchlings, they would prefer to be fed with small insects. As they grow up, they tend to eat more vegetables to vary their diet. If your bearded dragon is in the age of 2 to 4 months old, then you need to feed 80 percent insects and greens for the rest. It should be fed at least twice or thrice in a day to make sure that the young bearded dragon is sufficiently full. 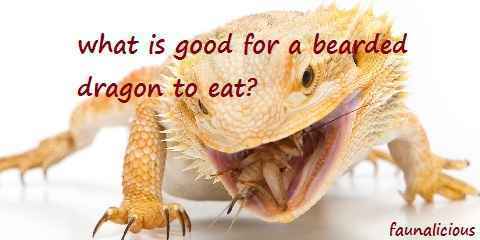 What is the best diet for the bearded dragon? Of course an insect should have been included as a majority diet for a bearded dragon. The insects are crickets, mealworms, cockroaches, earthworms, king worms, and also wax worms. For your information, you should never feed your pet with fireflies because it is obviously dangerous for your pet. These insects should be placed in a bowl and you need to make sure that no insect comes out alive from the cage and don’t forget to fill the water tank regularly. Before serving these insects, you can coat it by using the calcium supplement. It is aimed to serve both food and also calcium for your pet. That means the insects are nutritious before you feed your bearded dragon. Then what is the size of the diet of the bearded dragon? Is it up to all of you who want to give as much as possible so that it grows bigger faster? No, it is totally a big no. By giving too much food for your pet can make it suffers from seizures, malnutrition, and the worst is the intestinal blockages. You can ask your vet because sometimes it is measured from how big your bearded dragon is and the size of the food would be fit based on the size of the pet. As a conclusion, it would be better for you to know all the information about your pet especially the bearded dragon healthy diet and nutrition.